Transform your outdoor living space into something spectacular! Houston Outdoor Kitchen Pros can custom design your dream kitchen space to include a built-in outdoor refrigerator & sink to complete the set. Your backyard oasis will be the envy of all your neighbors! We proudly use only the finest materials and craftsmanship during the design build process. Contact us today to make your vision of the ultimate outdoor kitchen a reality. 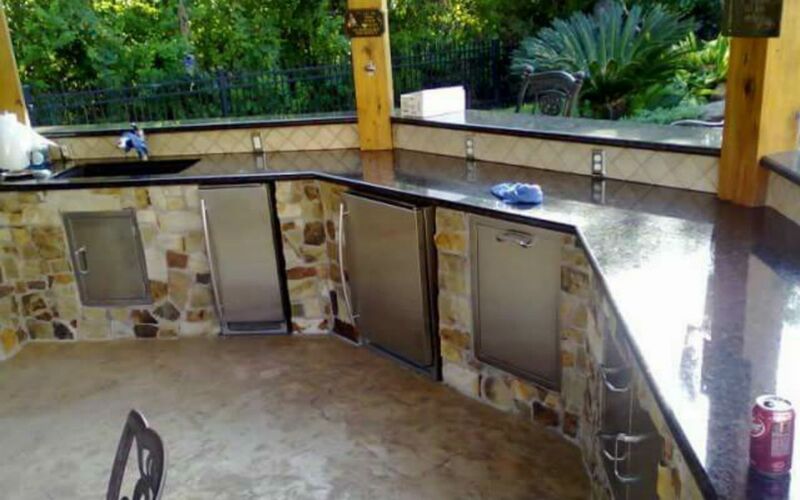 Our team is the premier outdoor kitchen contractor in Houston from design concept to completion.